Quebec’s largest mall, Les Galeries de la Capitale, is expected to add about 150,000 square feet of retail space at a cost of about $150 million. An 11-screen Cineplex theatre will also be added, and construction could begin at the end of 2014. Located in suburban Quebec City, Les Galeries de la Capitale has almost 1.5 million square feet of retail space and boasts over 280 stores. Its anchor stores include Hudson’s Bay, Sears, La Maison Simons and Target. The mall hosts about 11 million visitors per year, and enjoys annual sales of about $237 million, according to landlord Oxford Properties. It has the only IMAX theatre in the region, which is also the largest IMAX screen in Canada. 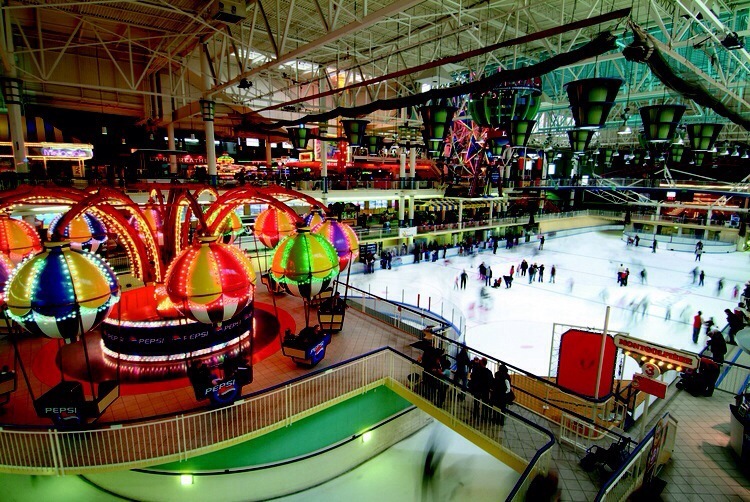 The mall is also home to North America’s second-largest indoor amusement park, called Méga Parc. A roller coaster, ferris wheel and skating rink are among the 20 attractions at Méga Parc. La Press reports that negotiations are still underway for the proposed 150,000 square foot mall expansion. The expansion would be on the south side of the mall. Rumour has it that Victoria’s Secret could open a store within the mall expansion. If so, it would be Victoria’s Secret’s second location in the province of Quebec, following the 2012 opening of an 11,000 square foot Victoria’s Secret at Le Carrefour Laval in suburban Montreal. Posted on April 10, 2014, in #international, #retail. Bookmark the permalink. Leave a comment.